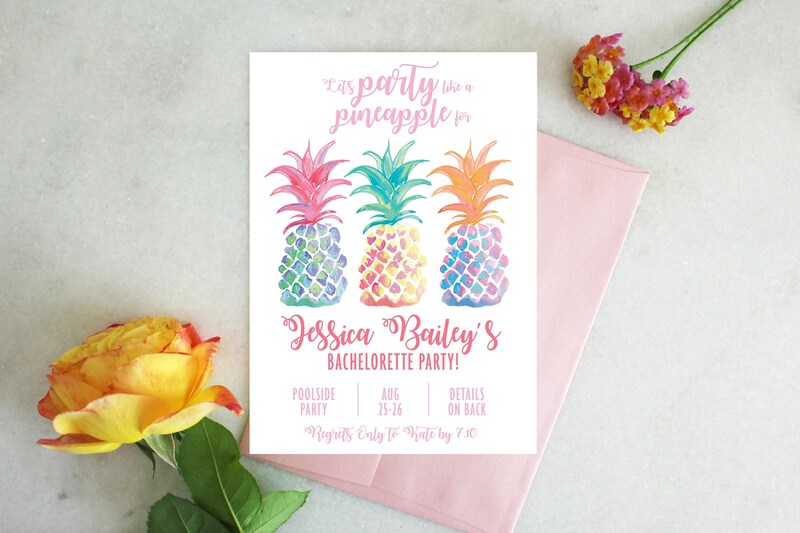 This party printable is perfect for any bachelorette party, no matter the destination! 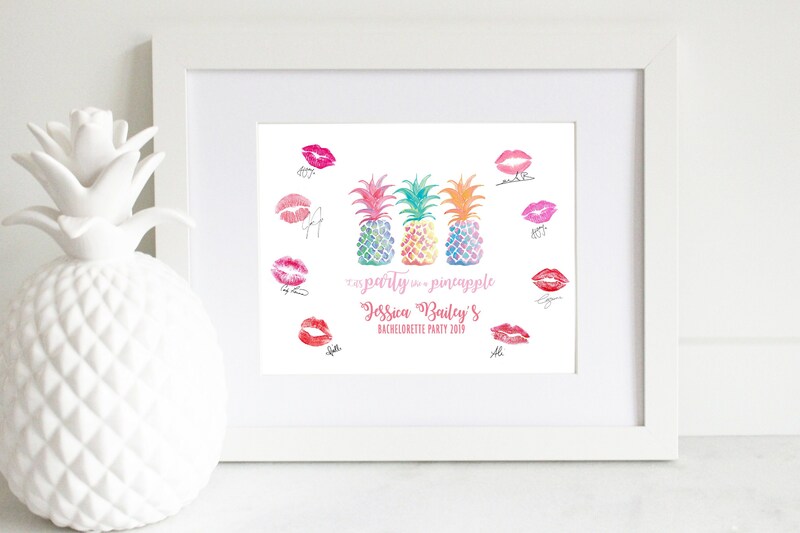 Pineapples can party poolside, amongst the bar scene, ocean side, or anywhere under the sun. 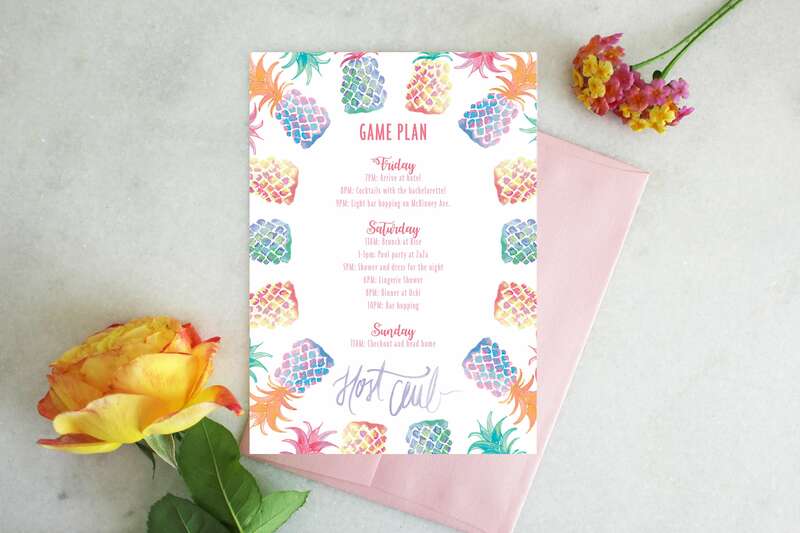 Don't forget your coordinating print for your day-of decor! *The print does not include kiss marks or signatures.